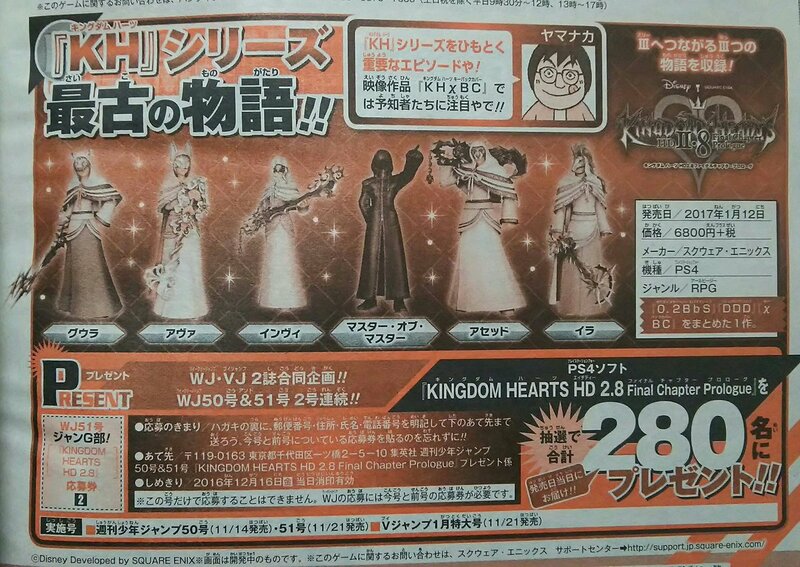 The latest issue of Weekly Shōnen Jump has a small feature on KINGDOM HEARTS HD 2.8 ReMIX: Final Chapter Prologue, showing off the Foretellers and the Master of Masters as they appear in X Back Cover. Back Cover is a new HD movie that tells the earliest parts of the series' history from the point of view of these individuals in order to explain what went on behind the scenes and ultimately led to the legendary Keyblade War. Here's an alternate version (credit to Aquaberry from KH13). I can't wait for the official coloured renders, the Forteller's are all looking so sleek! It's actually from Maku on twitter, but he is notorious for taking content from others and republishing it without credit or consent so unfortunately we feel we can not use it.